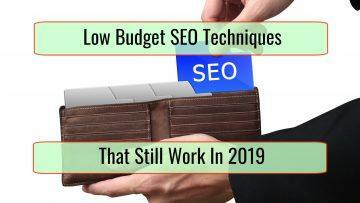 While the SEO world is extremely dynamic and changes are often implemented on a dime, some things just never change. Google and other search engines usually have a core set of principles as to what constitutes good SEO, and those who abide by their best practices are usually the ones who see the most success long term. They also don’t have to live with the fear of the almighty Google slap every time an update is rolled out. In this article, we’re going to give you a few simple and time-tested SEO methods that will never grow old. 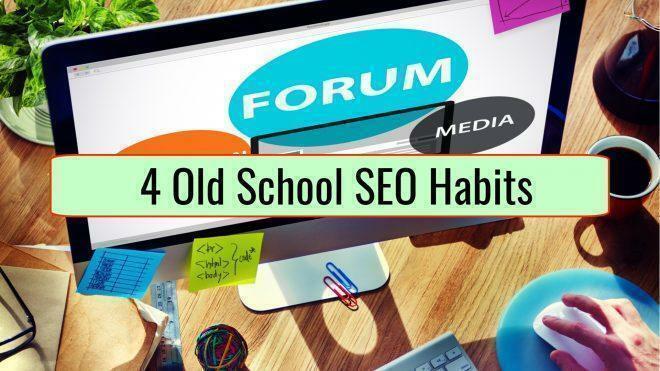 A lot of people will be surprised to see forum backlinks on this list, but forum backlinks are still a method that could help your SEO results today, as long as you go about it the right way. People used to indiscriminately put their links on any forum that had a high PR, no matter the industry or niche targeted. In this day and age, using forum profiles and signatures as link farms will certainly get you the boot. It was even commonplace for people to use automated tools to create keyword rich profiles on a variety of forums. Needless to say, that using this technique today is not only a waste of time, but will have a negative effect on your rankings. The right way to use forum backlinks for SEO is to look for high quality forums that are directly or closely related to your niche. And you shouldn’t focus on lazily adding your links to the forum signature or profile. 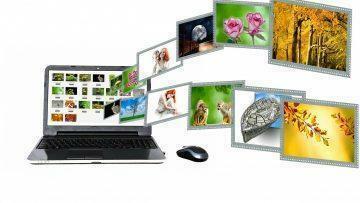 Instead, you should try to find creative ways to insert your links while providing useful information. You should be looking for active forum participation and focus on being a genuine resource, and add your promoted links whenever you can in a totally natural way. This will not only allow you to improve your rankings, but you will establish yourself as an authority and attract more traffic directly through your links. While signing up with as many directories as possible used to be the way to go, you should only limit yourself to high quality directories that are related to your niche too. Local directories will get you even more link juice and improve your local results as well. One great way to know if a directory is worth your effort is to look at their submission requirements. If they don’t take their submissions seriously and just approve anybody, chances are that they aren’t a good directory. Directories that are more selective are more respected by search engines, and will get you better results. Don’t confuse “link bait” with “click bait” here. Click bait uses over sensationalized headlines while providing little substance or completely unrelated and irrelevant content, but link bait is actually the total opposite. Creating link bait content is all about creating high quality content that will generate links organically due to its value. That’s why you need to analyze your content from a user standpoint and see if it’s worthy of a share. While there are some particular formats that tend to attract more links than others, there isn’t one single way to attract links. However, there clearly seems to be a trend towards more video, and high quality and informative videos are often a great way to generate links for a variety of reasons. In order for someone to link to your content, they actually have to process it first, and in many cases, people just don’t read through long-form copy. Videos can be as short as you want and grab your readers’ attention immediately. They’re also much more likely to listen to a 10-minute video than go through a 10-minute read. If you want to create content that will be link worthy, try to provide unique insights. This could be in the form of an internal research or interviews with key people within your industry. Internal studies are often a great way to generate links for a few reasons. When properly presented, they attract a lot more attention, and people who may want to cite your study at any point in time will be forced to cite or link back to you. This will not only improve your organic links, but your brand mentions and direct traffic as well. Also, make sure that you release informative infographics. Infographics tend to be favored by readers because they’re easily digestible and highly informative. As a matter of fact, according to a recent study by Hubspot, infographics were three times as likely to get shared than any other form of content. So, make sure that you release some useful infographics from time to time, and try to use your own data if possible, to generate more mentions. Guest blogging will always be a powerful tool in SEO. However, guest blogging has to be approached differently today. You shouldn’t use guest blogging solely to generate links to your site. Your guest blogging should be used first and foremost as a promotion tool. As a matter of fact, Google explicitly stated that using guest blogging for link building was frowned upon and could actually hurt your rankings. So, what should you do? First of all, you have to make sure that you only post on high quality sites that are closely related to your niche. While Google hasn’t taken action on generalist sites, you never know when they could get in their crosshairs and get demoted. However, high quality guest posts on high quality related sites aren’t going anywhere and are one of the most time-tested promotion methods you can use. Also, try to focus on non-linked mentions instead of direct backlinks. Brand mentions, even without links, will improve your brand’s visibility and authority, and improve your site’s ranking without having to deal with the risk of bad links hurting your rankings later on. At the end of the day, using SEO techniques that benefit users will always be a winner. Try to focus more on offering your audience what they’re looking for and improving user experience instead of manipulating any seeming vulnerabilities in search engine algorithms.